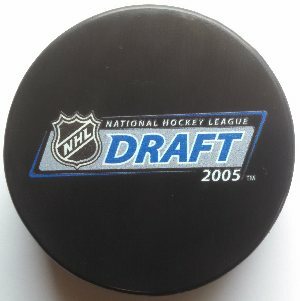 As a lockout cancelled the games of the 2004–05 NHL season, the draft order was determined by lottery on July 22, 2005. Teams were assigned 1 to 3 balls based on their playoff appearances and first overall draft picks from the past three years. According to the draft order, the selection worked its way up to 30 as usual; then instead of repeating the order as in past years, the draft "snaked" back down to the team with the first pick. Therefore the team with the first pick overall would not pick again until the 60th pick. The team with the 30th pick would also get the 31st pick. The new CBA reduced the draft to seven rounds in length, compared to nine rounds in years past.